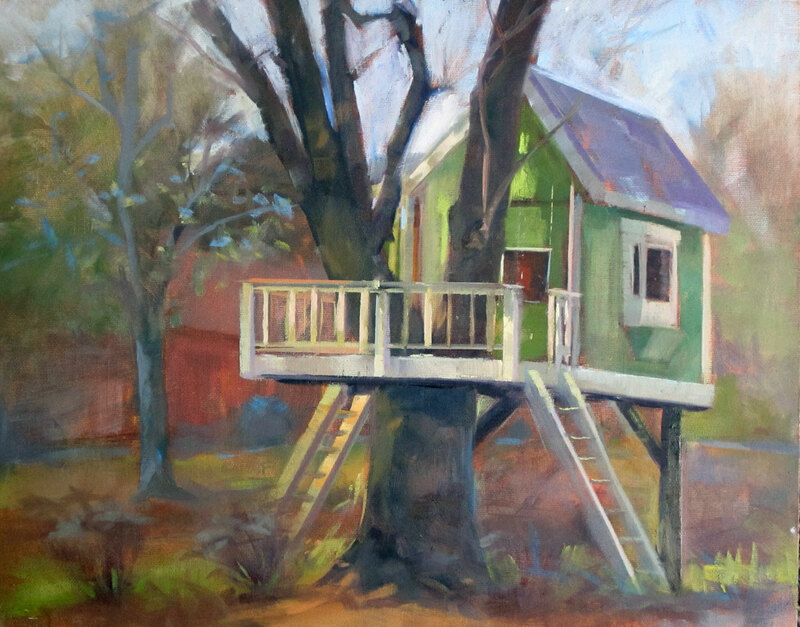 Painting in Old Town Florissant last Sunday, I came across this beautiful treehouse. I was looking for garden scenes, but was immediately attracted to this so I set up across the street in a parking lot to paint. The young couple who owned the house were very kind and came out to see what I had in mind. I hope they’re pleased with the painting. This entry was posted in Uncategorized and tagged florissant, missouri, old, town, treehouse. Bookmark the permalink.